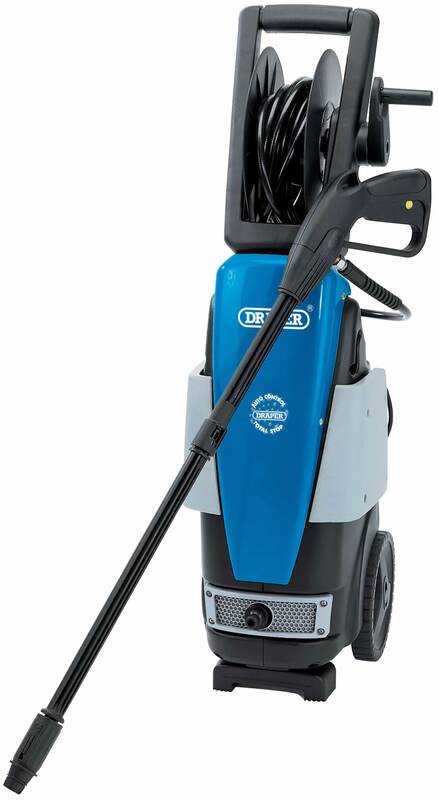 Portable pressure washer for domestic use, ensures efficient cleaning of vehicles, caravans, motor vans, driveways, boats etc. The Total Stop Valve automatically activates and deactivates the high pressure cleaner every time the trigger is operated thus increasing the life of the motor and reducing electricity consumption. Supplied complete with 6M of high pressure hose on hose cart wheel with gun, turbo lance, built-in detergent tank, adjustable fan jet lance, wheels and BS approved non-rewireable 3 pin moulded plug and cable. Display carton.